After the excitement and energy, after the tears of fear and joy, after the exhaustion of travel and phone calls and paperwork—there is quiet. Just you, the new Solo Mom, and your new adopted son or daughter. If you were like me, you didn’t have a nursery set up before your child was born, terrified that the adoption would fall through. You may not have had a baby shower yet. 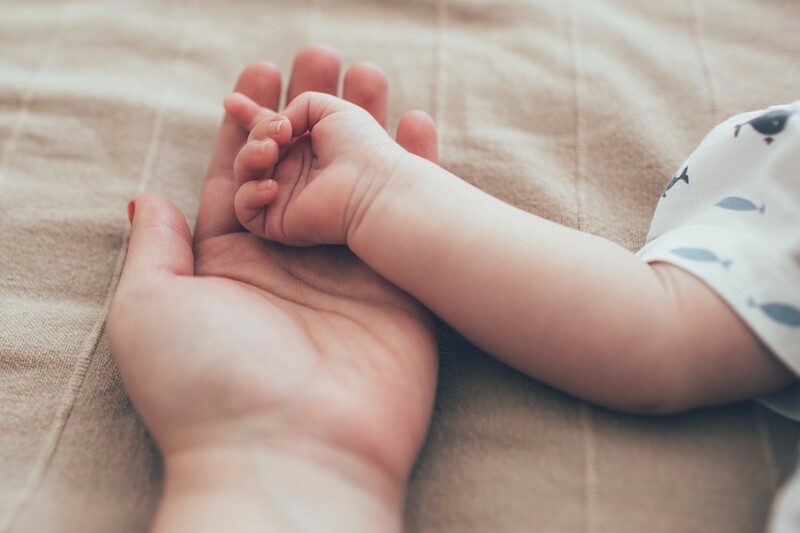 And, while many new mothers bring their babies home in a matter of days, adoptive mothers may have been living out of a hotel or short-term rental for days, weeks, or months. When I walked into my apartment with my son for the first time, I hadn’t seen my place in nearly three months. I left my apartment in New York City shortly after Labor Day with mail on the table, trash in the garbage, and a fridge stocked with food. My son had been born 11 weeks premature in a small town more than a thousand miles away from New York. We finally came home on Thanksgiving day. I spent his 73-day neonatal intensive care unit (NICU) stay living in an extended-stay hotel. He “came home” with me to that same hotel. His first bath was in the hotel sink. His first night was spent in a travel bassinet that was placed inside the hotel crib. The thing about the NICU is that you are never alone with your child. Of course there is good reason for that—they don’t call it intensive care for no reason. But while I’d have private moments with him in the corner of the room, there were always nurses, doctors, respiratory therapists, other parents, social workers, hospital administrators, and so on, shuffling through a small room with no outside windows. And when we were released to the hotel to await our travel paperwork so that we could go home for real, I was lucky enough to have a revolving door of new friends—my son’s former nurses—come by to check on him and soothe my rattled nerves. A few days after he was discharged, my mom flew in to help us get home to New York, and as the taxi drove us from the airport to my apartment, I cried. I cried hard. I cried because I couldn’t believe we were finally home after the journey we’d been on. I cried because I had been homesick and yet I already missed the friends I had made while I was living out of state. But mostly I cried because I was terrified. I knew I had only a few short days until my mom left. A friend and fellow Solo Mom likened taking a new baby home to your parents giving you the keys to the car for the first time. I found that analogy to be incredibly accurate, but instead of my sometimes trusty 1986 Oldsmobile, this was a human life. There were no more nurses, no more friends, no more Grandma—just me and him. It’s a strange thing to have such an intimate relationship with a stranger, but that’s what bringing home a new baby is. And when this is a baby brought home via adoption, the emotions of just becoming a parent are still raw and electrified. Now I had to actually parent. So I treated my son like I would anyone new to my house. I talked to him. About everything. About how cold it was going to that week. About how we needed to hurry up and start our Christmas shopping. About what needed to get put on the grocery list. About my frustration that the dog wouldn’t poop outside when the temperature dropped below 50 degrees. And he listened. Then he started to “talk” back in the forms of coos and squeals. And when he saw he could make me smile, he did it even more. I asked him questions on what he liked. We tried out some different types of music. I found out that my ears couldn’t tolerate music made for babies but that we both really enjoyed Michael Jackson. I explained to him why New York City was the best place on earth. I sang to him the songs I had been waiting to belt out since he was in the NICU—namely “Blackbird” and “Beautiful Boy.” We watched reruns of Beverly Hills 90210 and binged on Scandal. We took some outings—short trips at first—to the grocery store or pharmacy. Then we worked our way up to the big guns, such as the mall or somewhere that requires getting on a highway. One of the first times I took my son out, he was a warm, fuzzy, hooded sack. I was wearing him in a wrap and had a down coat zipped up over both of us. I was in a store buying wrapping paper when I realized how hot I was wearing him with all the winter accoutrement, and I worried he was too hot. So I checked him . . . he was asleep. Or was he unconscious? Was he breathing too fast? I tried to shove my hand down his onesie to check his heart rate and thought, Forget the wrapping paper! Save your son! I ran home as fast I could, sure he was unconscious and overheating. Once I unwrapped him, I saw he was perfectly fine. I, on the other hand, needed a Xanax. If anyone else had been in my apartment with us those first few weeks, he or she might have thought I was nuts. Definitely give yourself that time for the two of you to get to know each other, and remember he or she is trying to figure things out along with you. Then you can let some people in and invite friends over. Tell them what you need. Let them see you cry. Let them hold the baby. Tell them why you are scared. Show off your child. Remember that you two have a whole lifetime together. Enjoy it. We took some outings—short trips first—to the grocery store or pharmacy. Then we worked our way up to the big guns, such as the mall or somewhere that requires getting on a highway. One of the first times I took my son out, he was a warm, fuzzy, hooded sack. I was wearing him in a wrap and had a down coat zipped up over both of us. I was in a store looking at wrapping paper when I realized how hot I was wearing him with all the winter accoutrement, and I worried he was too hot. So I checked him . . . he was asleep. Or was he unconscious? Was he breathing too fast? I tried to shove my hand down his onesie to check his heart rate and thought, Forget the wrapping paper! Save your son! Check out Sister Chat for conversations with other Solo Moms who’ve adopted or are planning to adopt.